The book tracks the hurricane's landfall and its aftermath with special sections on the towns and cities of Pass Christian, Long Beach, Bay St. Louis, Waveland, Gulfport, Biloxi, and Jackson County. Hundreds of photos show the vast devastation in all quarters along the Coast. 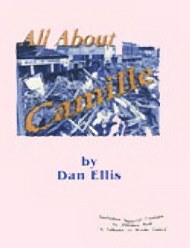 In All About Camille, the 1969 storm that changed the Coast forever is well documented in this only remaining book in print. It reveals the brewing storm from its early development off the coast of Africa as it proceeded dead center of the Bay of St. Louis to destroy the town of Pass Christian and its wrath upon the whole Mississippi coastal counties. 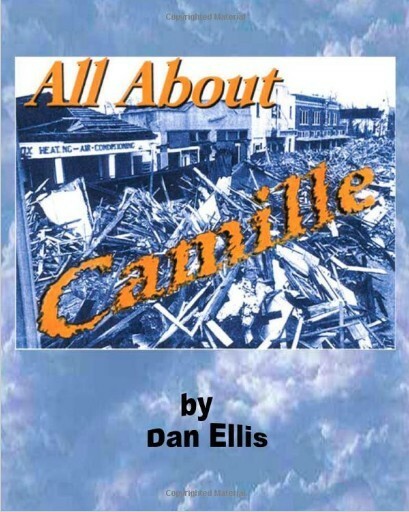 Sun-Herald reporter Nan Patton Ehrbright writes that, All About Camille is intended to provide irrefutable evidence about the devastating power of hurricanes to newcomers who may tend to underestimate the strength of hurricanes and tidal surges. The book's cover portrays a view of Scenic Drive in Pass Christian that shows debris – 10 to 20 feet high – in demonstrating how horrifying a Category 5 storm can be. The course taken by the storm was a small tropical wave on August 5, 1969, off the African coast to its landfall at 10:30 p.m. on August 17 with top winds over 200 mph and having inundated Pass Christian with its highest recorded flood surge of 24 feet. Ellis points out in “All About Camille” that during the 1990s, the rejuvenated Coast not only made a comeback, but is now bursting with pride and vitality that has escalated its position as a national resort attraction. Counties and cities have renewed their rejuvenation programs and have accelerated their efforts in downtown revitalization, city beautification, historic preservation, and the hiring of professional expertise for each endeavor. A special topical section commemorating Wade Guice was written by Jimmie Bell, a longtime Coast newspaper reporter is also included.